Our home is located in the quiet suburb of Glendene, West Auckland. 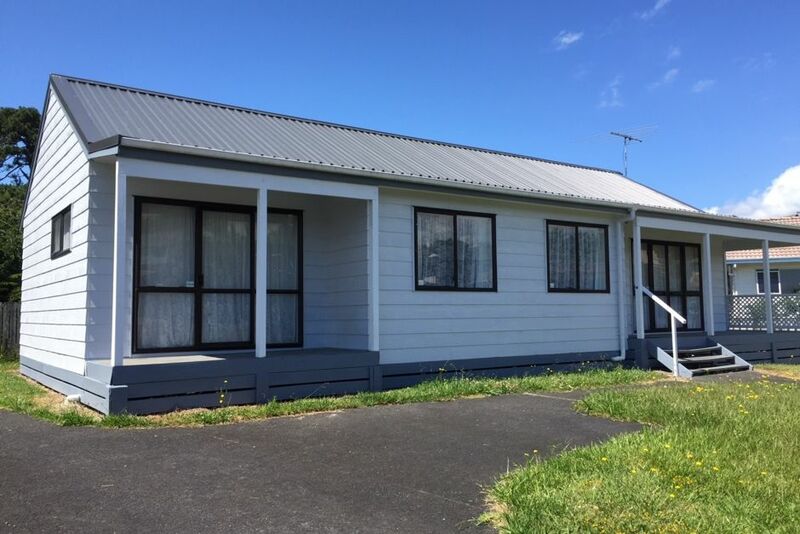 It is a spacious furnished self-contained home with three good sized bedrooms and an open plan sunny kitchen overlooking the reserve with a separate dining area leading out to the back deck. A fully fenced garden with lots of space for the children to play and a playground situated just down the road. There is also the convenience to public transport with a bus stop 5 minutes walk from the house . The kitchen is equipped with crockery, cutlery and cookware to make a meal. It is best suited for a small family or group. The bed layout is single beds in the small and double bedrooms and two singles in the master bedroom (which can be put together if required). There is a spare roll away mattress and bedding available for an additional fifth person. Amply parking on the driveway. 25 min drive to Auckland Central + Britomart + Waiheke Ferry. 30 min drive to Auckland International Airport. Visitors to tidy up and leave the property as found. No Parties. This is a residential street and we would like to keep the local residents happy. Monthly / long term enquiries welcome - terms will differ from short term holiday bookers. Great location away from the city, fully furnished with all the comforts of home. Thanks for the lovely review. Am very happy your family enjoyed their stay at our home. House was what we expected for what we paid, tidy and clean, had everything in it that we needed and very central to west Auckland. Located in a suburban area the house was the perfect layout for our needs. Located in a suburban area the house was the perfect layout for our needs. It rained during out time so we didn't explore the outdoors. It is very family friendly and very easy to heat. All the basics were there and it was great to be able to keep up with the washing and cook a family meal. The property security was awesome with window stays and extra locks on the doors, definitely making us feel safe and secure in a new space. We would definitely stay here again should the occasion arise. Thanks for your lovely feedback. Look forward to you visiting again.